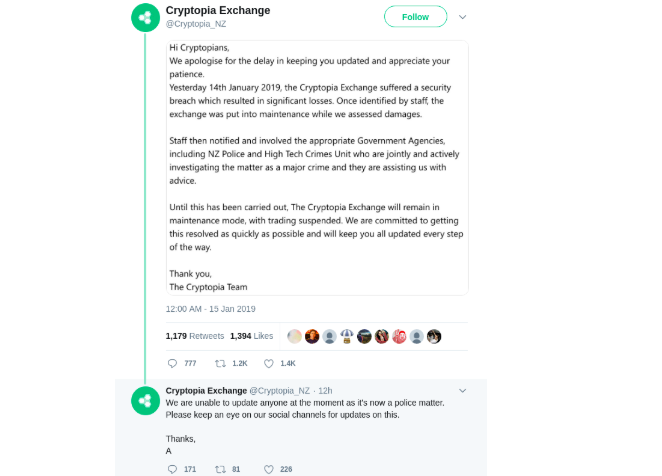 LocalBitcoins was hit by a hacker who managed to steal 7.95 BTC (approx. 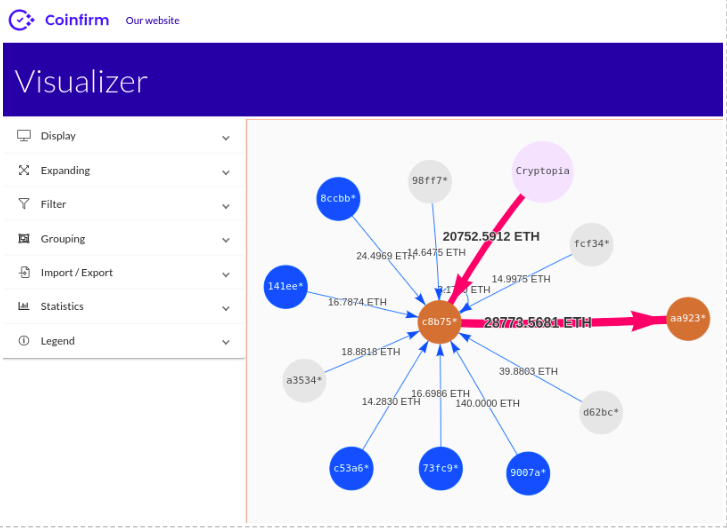 $27,825) by using a fake link to LocalBitcoins website located on their forum. 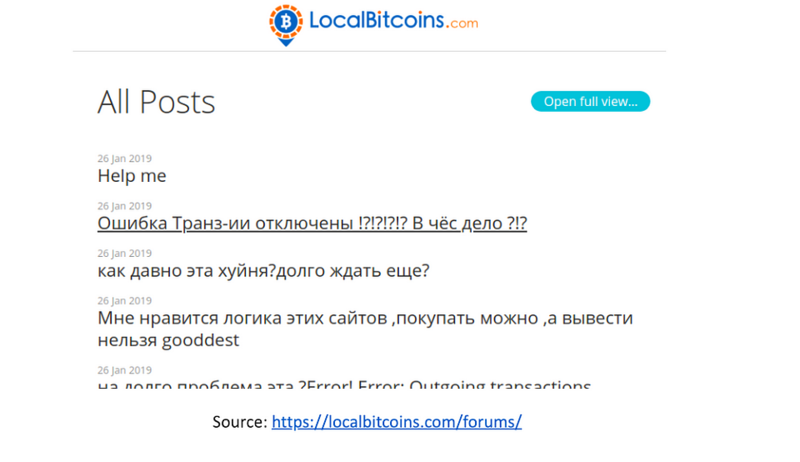 The LocalBitcoins Forum caused this issue and was immediately taken down by the LocalBitcoins team. 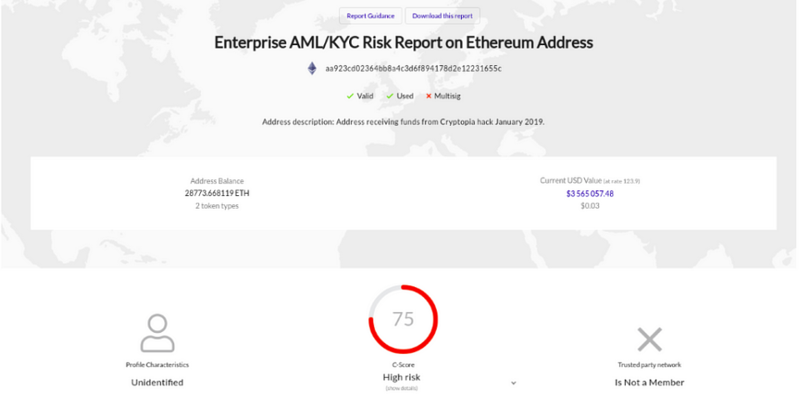 According to our data this is a deposit address of one of the biggest exchanges in the cryptocurrency space. 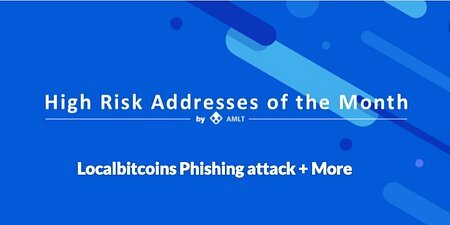 Even though, this exchanges address received only ~7.95BTC from the LocalBitcoin phishing attack, it has received in total 3184.57 BTC (~$12,447,489 at the txs dates) valued around $10,827,541 today throughout its existence. 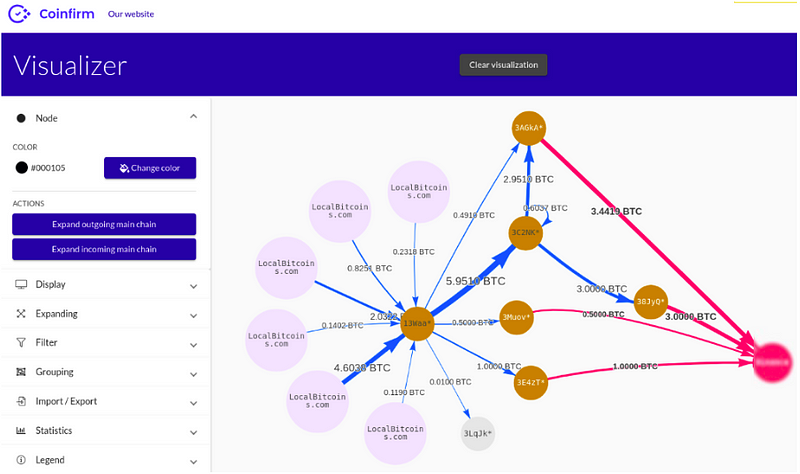 Below you can see the path of the stolen coins through Coinfirm’s Visualizer tool from the Coinfirm AML Platform. 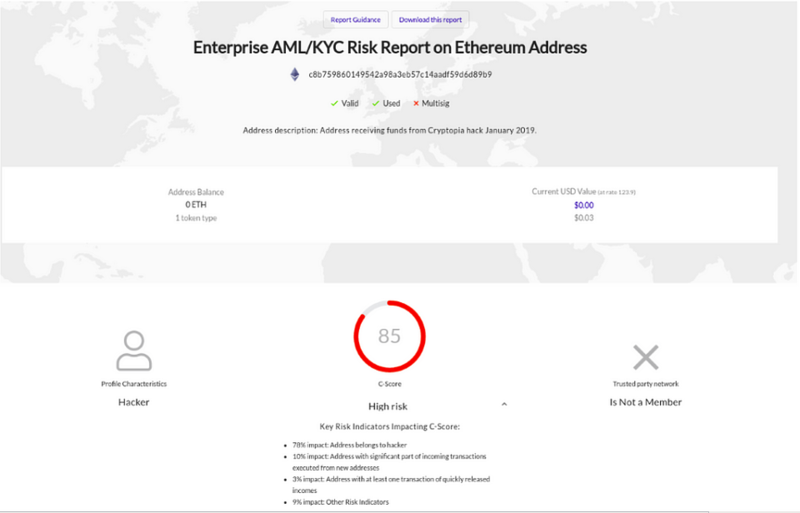 This data has been submitted into the AMLT Network, and future risk reports for related addresses will reflect the appropriate updates and risk indicators.